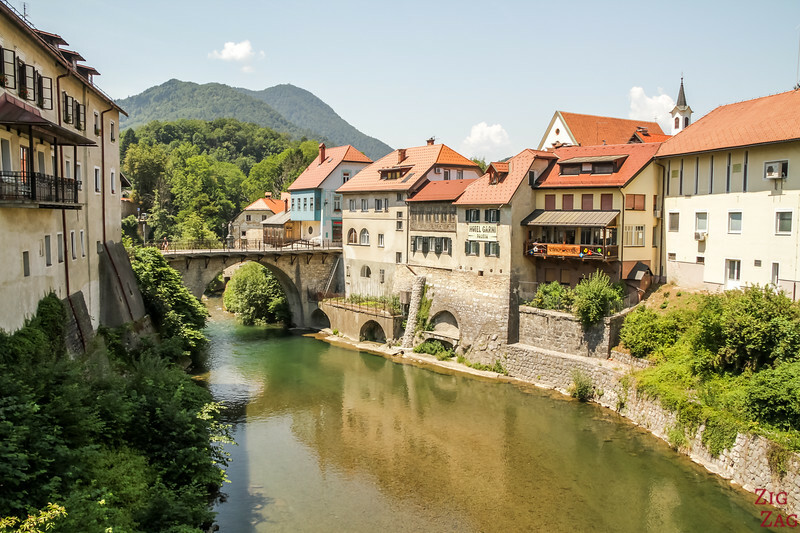 Considered the best preserved medieval city in the Slovenia, Skofja Loka is worth the short detour between Ljubljana and Lake Bled. 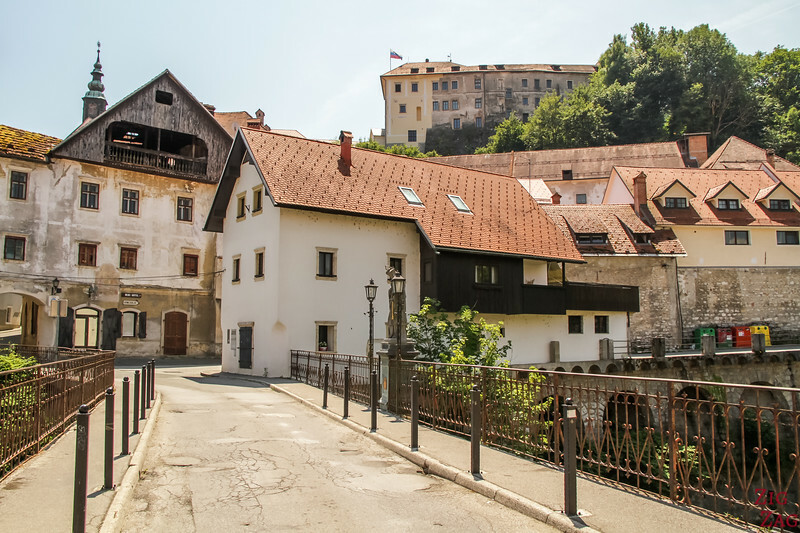 Take the time to stroll in the old streets of the center and climb to the castle to visit its interesting museum. Below is my travel guide to help you plan your visit. When people visit Slovenia, they tend to rush to get to the famous Lake Bled, its castle on the cliff and the Julian Alps. 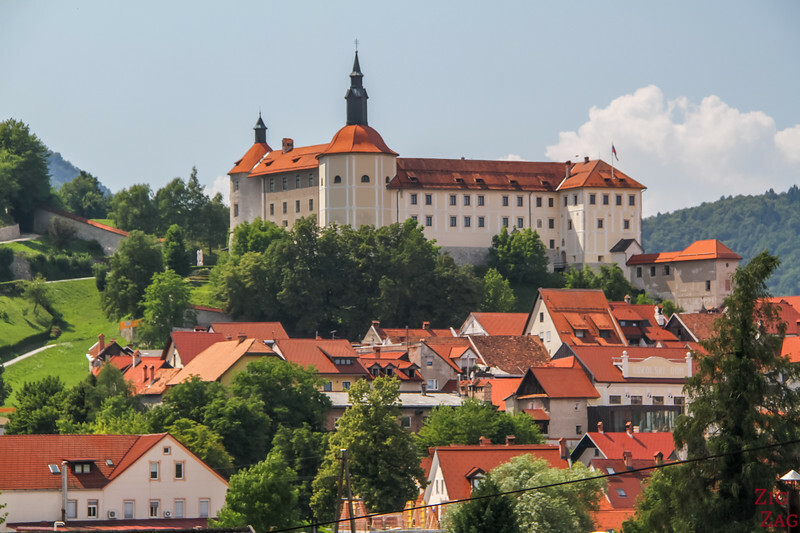 But in the lower part, where the mountains start appearing, is the medieval town of Skofja Loka, dominated by its castle. 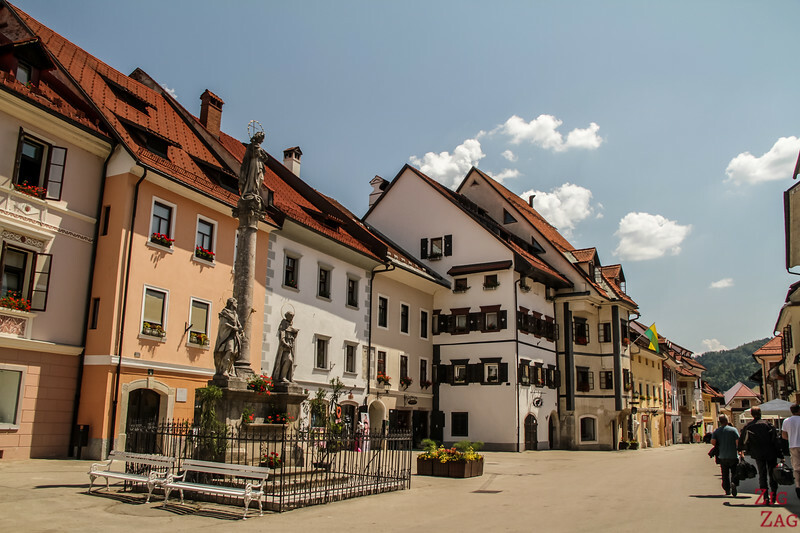 Away from the crowds, it gave me a fantastic first impression of Slovenia. 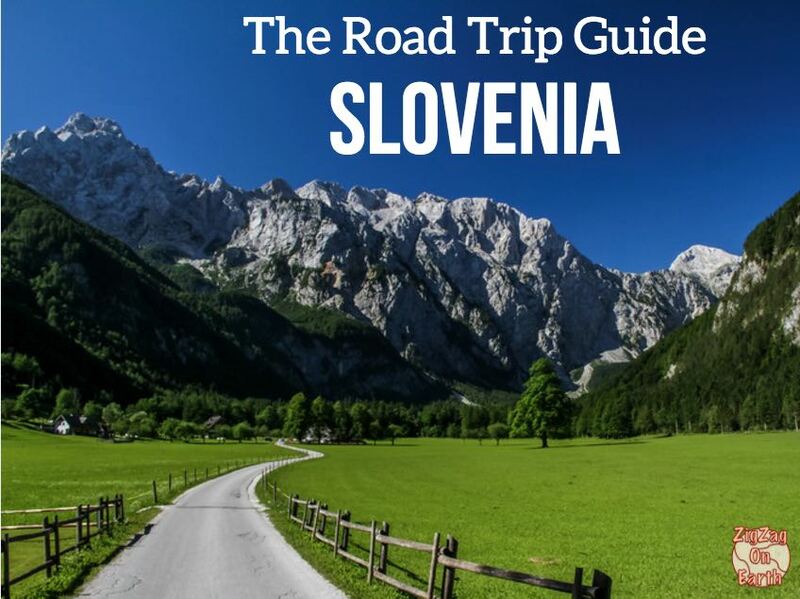 This location, along with many other beautiful places, is included in my eBook: The Road Trip Guide-Slovenia. First stop the town center. You can park quite close to the river. Don't forget to pay for parking!!!! To access the medieval center, you can cross on one of the bridges: the historical one (Capuchin bridge) or the modern one. Views are charming with the green hills and orange roofs. Always look up to spot the castle protecting the town! At the upper square the ambiance is a bit difference. The colorful houses are in better shape. It is a very enjoyble places to stroll. At one end is a 16th century house with a giant tree. 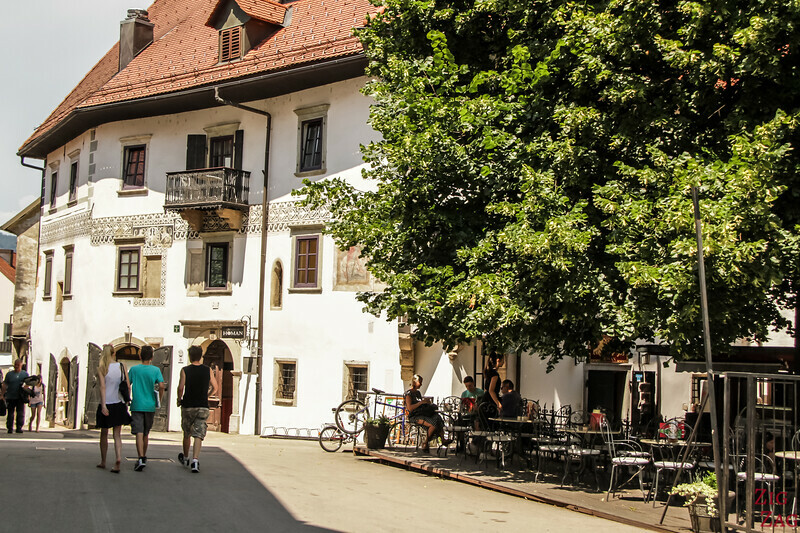 It is called the Homan House, a civil manor which was restored in Gothic architectural style (and with some renaissance element) in the 16th century after the 1511 earthquake. You can see a stone with the date engraved. I really recommend sitting in the shade here to taste the delicious ice-creams or have a quick lunch. 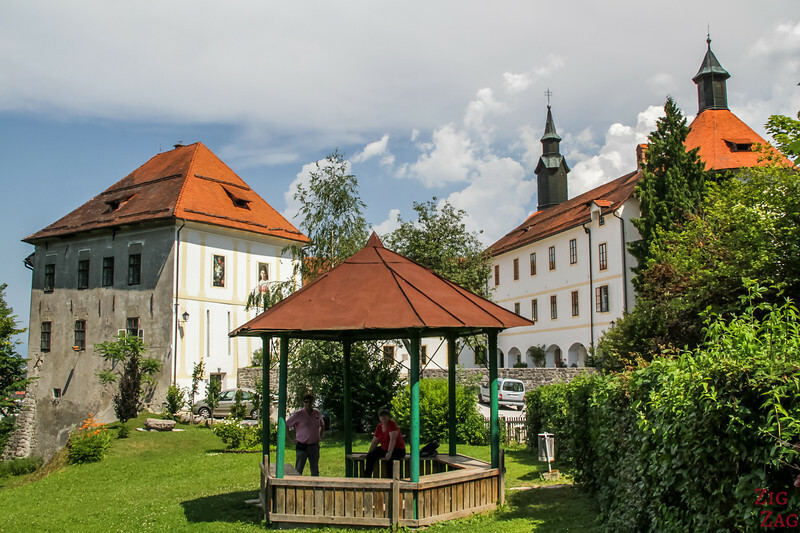 From various roads around the town, you can get clear views of the castle and its square shape. 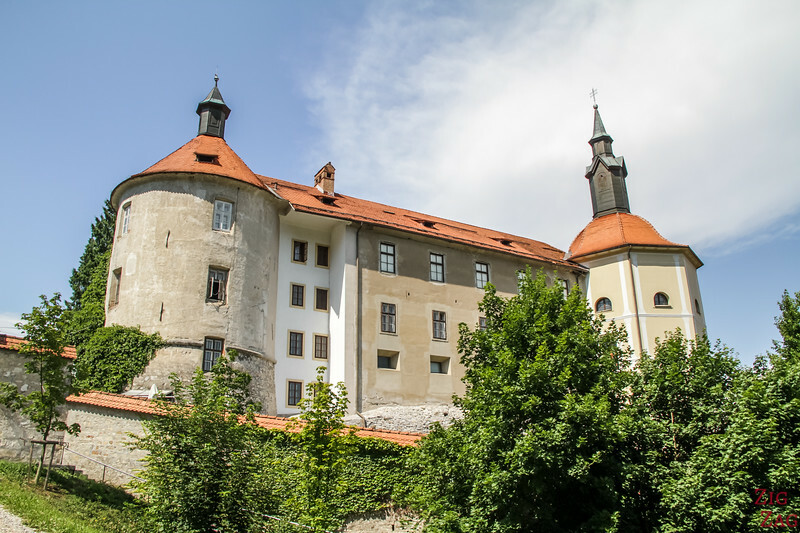 Although the town was mentioned in the 10th century, the castle was first mentioned in 1202. Although it has been established that it dates back to the 11th century. Today we can't admire the central square tower because if was brought down in 1892 by the Ursulines who bought the castle. Significant alteration were made to the plan. 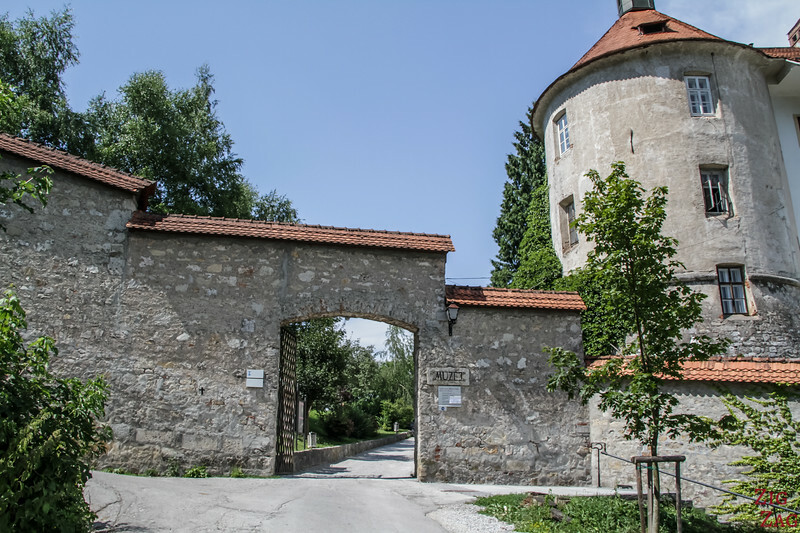 During the second world war the castle was occupied by the German. Or you can take your car back and drive up there. There is a parking inside the fortifications. You don't have t visit the museum (even though I recommend it). You can simply enjoy a troll in the park, sit at the Gazebo. A path has been set up departing from the castle through the forest. It leads to abysses, small monuments and the ruins or an old castles. But you don't have to complete the whole loop. 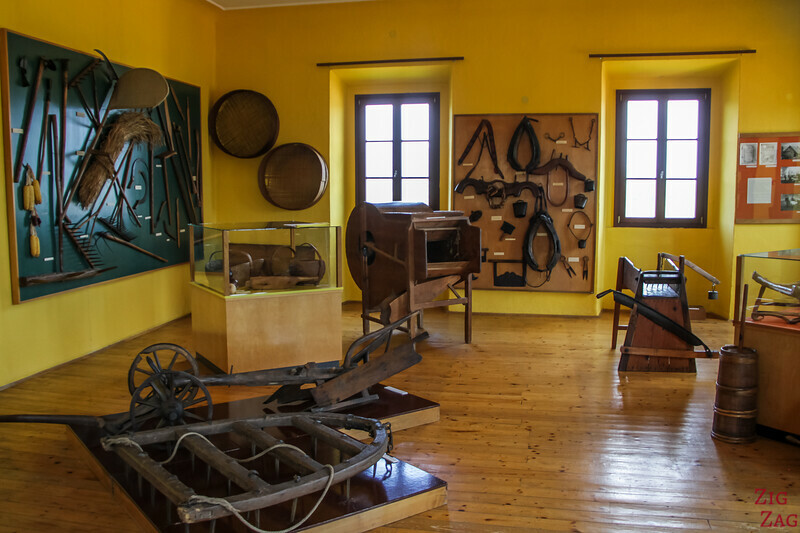 You can just walk 2 minutes to see the Skopar House, its hayrack and farm tools. 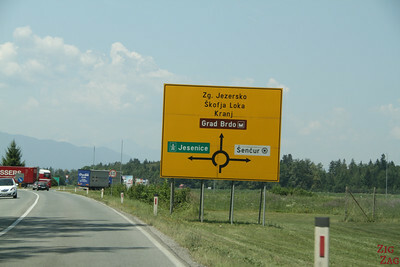 Hayracks are typical in Slovenia, and you will see many as you drive around. They were intended to dry hay, grain, beans... They began to be used in the 16th century. 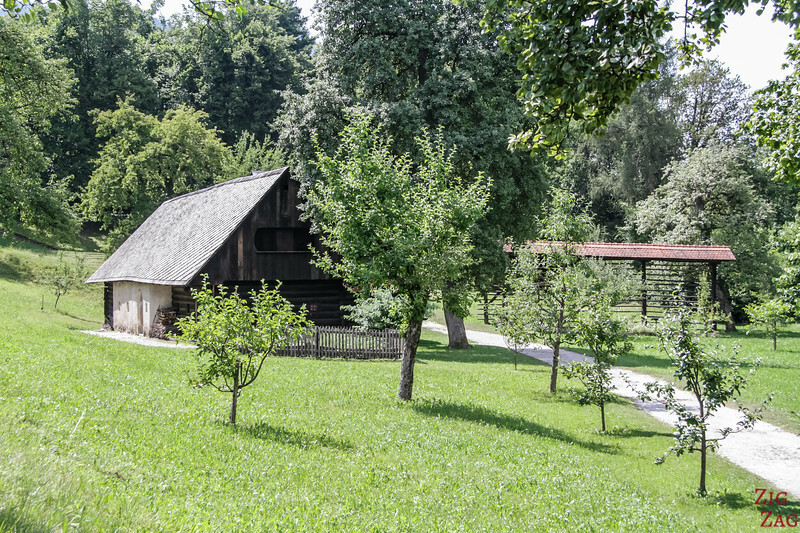 The Skofja Loka Museum is a general museum which covers local information about archeology, history, culture, ethnology and natural history. 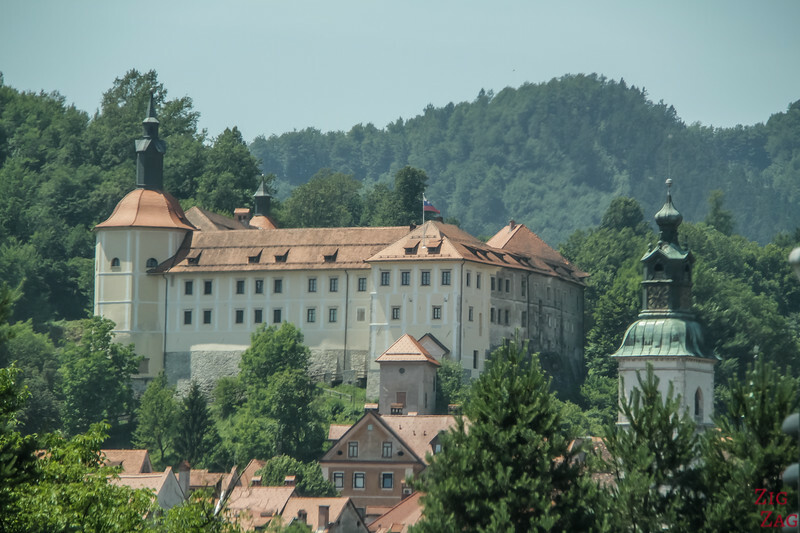 It was one of my favorite museums and overall things to do in Slovenia. I must admit that normally I am not a big fan of museums. 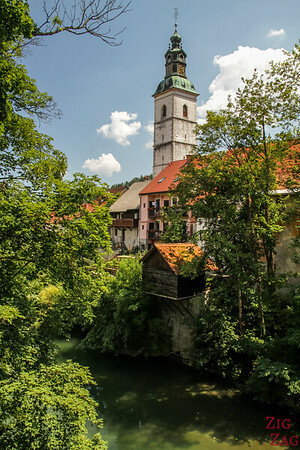 But I have been pleasantly surprise by many of them in Slovenia especailly at Idrija, Bistra and here. They have gathered and present to the visitor, artefacts and documents about the rich history of the town and the region. I am not going to share pictures of all the exhibits because there are many. But I am giving you a small taste here of what there is to see. 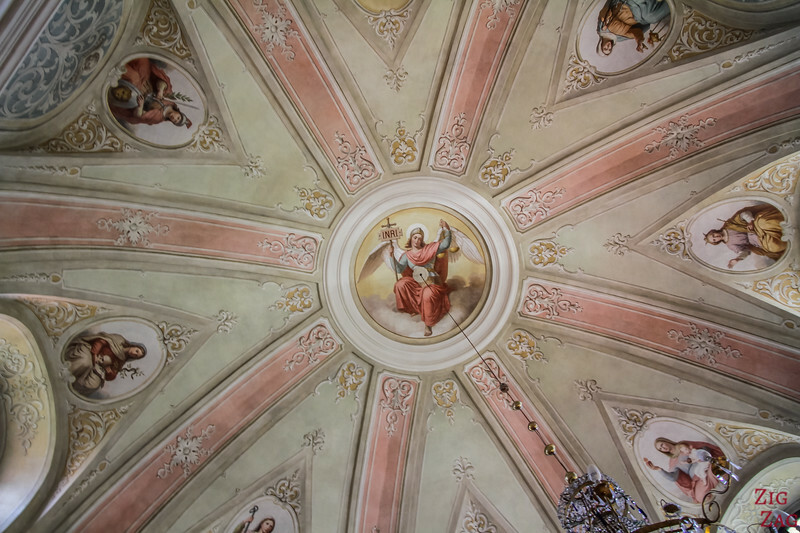 One of the first stop is the renovated chapel. The roof is quite elegant. 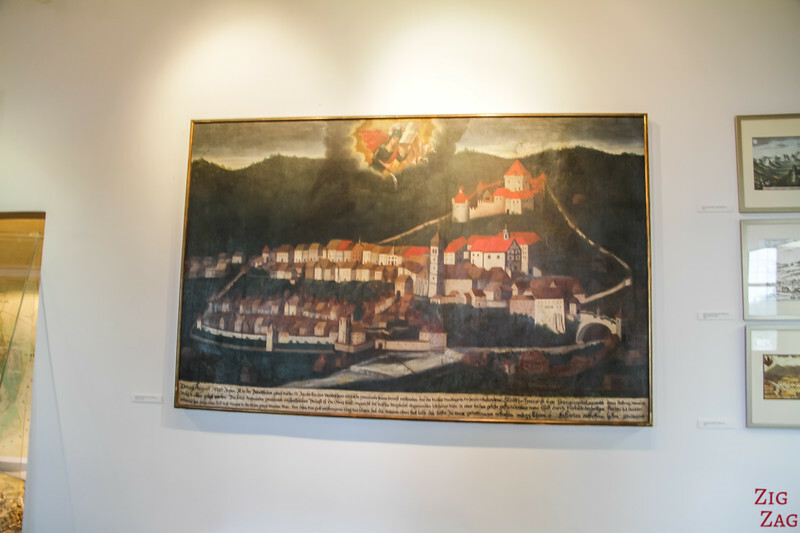 This oil painting represents the 1698 fire in the town. 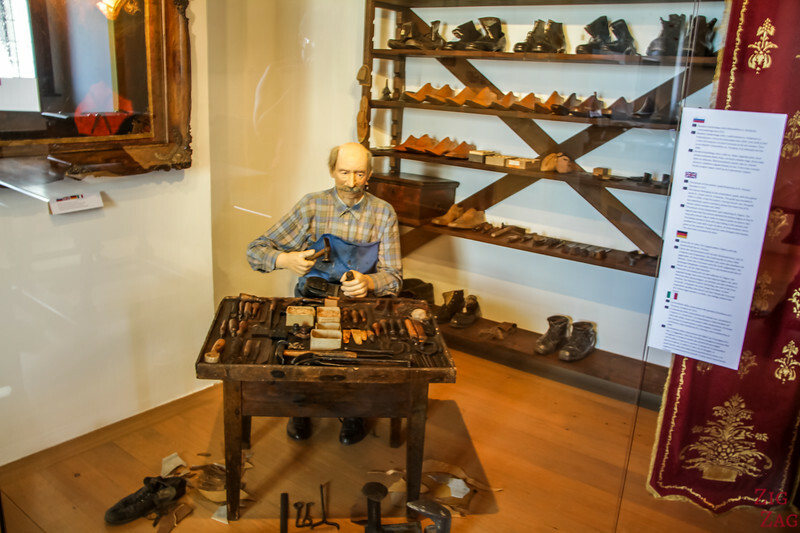 However my favorite parts of the museum, were the section introducing many of the old manual work and their tools. As you can see in the picture below, you can get information in English about most of the scenes you see.. 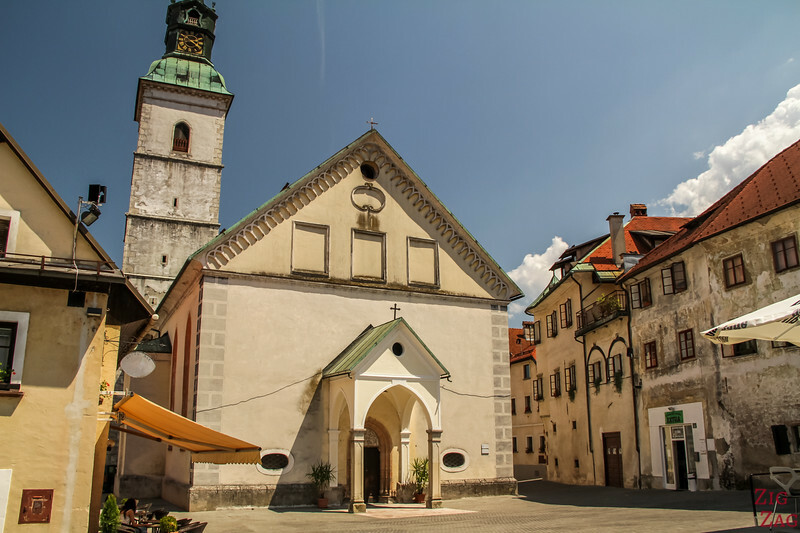 If it was a detour on your way to Lake Bled, I recommend you head to my Bled travel Guide to find out about accommodations.